Allergies at Aldi's or other places? Wonder if GAG will trash this because it is specific to a business, but might as well be truthful. I've had my 2nd bout of allergies to foods purchased at Aldi's. Years back it was their pizza, which tried twice to same results...sensitive and bleeding gums. 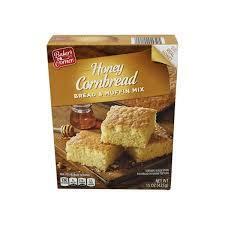 Recently, I tried their cornbread mix... same result. I informed them. I like other items like produce, veggies. I've had problems with chicken smelling bad. Have not had allergy problems like this anywhere else. I like cheap, but got to wonder where this stuff is coming from. Some products say china (salt/pepper)... and I don't trust that. have you had similiar problems there or other food outlets? ❤️ What do you think of my Snickerdoodles and Oatmeal Apple Cobbler muffins? Who wants to eat this pizza with me? What was the first alcoholic beverage you've ever drank? If you drink, what drink do you usually order? Which is better? Waffles or Pancakes? We don’t have one here and never been to one but I get allergies to things so I’ll keep it in mind. It's funny you bring this up. A guy i work with tild me the other day he won't shop at Aldi's and i asked why. And he said when he was growing up his father shopped at Aldi's because it was cheap and as soon as he moved out and made enough he started shopping elsewhere and he couldn't stand Aldi's cheap products. Ti which i said It's cheap that's a good thing. And he said not if the quality is bad. I shop at Hy- Vee a common midwest store chain. Because it's the only grocery store in my suburb. And i always assumed all grocery store had the same suppliers essentially Apparentlt that isn't the case. Laurie's, ADULT'S ONLY, list of your favorite sexual fetishes and kinks! My Journey On GAG Why be insecure? Successfully Appeal to and Attract Women Jealous Much Sir? Home > Food & Beverage > Allergies at Aldi's or other places?